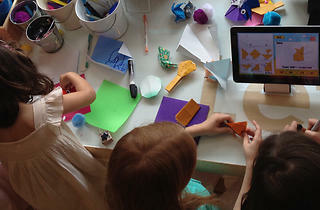 Kids gather in Taro's studio for a two-hour exploration of the art of origami. First up: using high-tech touchscreens to choose the pattern (a frog, airplane, flowers, a truck). 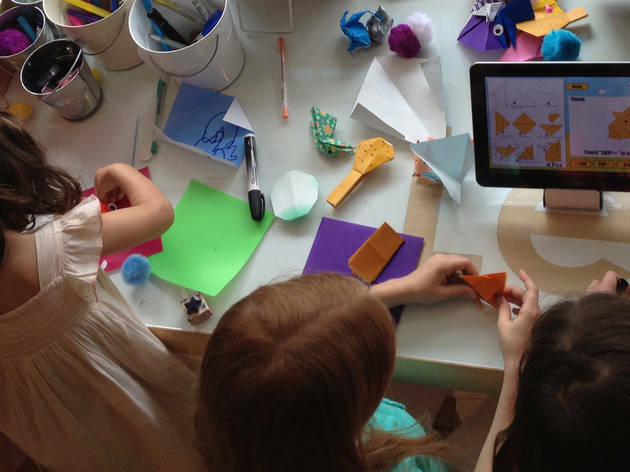 Then, the origami software guides partygoers through the folding steps, and two professional instructors are on hand to help out. Once the basic design is complete, kids decorate their paper creation with stickers, stamps and markers. A table will be set up for cake and refreshments, but you must bring your own. Guided group instruction for guests can be arranged for an additional cost. Ages 5 and up.